Measles killed 82,100 children under age 5 in 2013, ranking the disease at No. 7 on the list of the top causes of child death, according to recent statistics from the Global Burden of Disease study published in the Lancet. Lower respiratory infections like pneumonia were the number one killer, followed by malaria, diarrhea, nutritional deficiencies, congenital defects and meningitis. More small children died from measles in 2013 than died from drowning, road injuries or aids. Here in the United States, we have the luxury of signing up for "personal belief exemptions" from vaccine requirements and indulging vaccine skeptics in their unfounded beliefs about the "dangers" posed by measles vaccines. Currently there are 113 countries that can boast better measles vaccination rates than the United States. The only reason this is possible, of course, is the incredible effectiveness of vaccines at eradicating diseases like measles. But these numbers serve as a stark reminder that in the developing world, where measles kills roughly 225 children each day, the situation is quite different. Children under 5 make up more than half of the 145,000 deaths attributed to the disease annually. In some particularly impoverished and malnourished areas, the disease has a fatality rate of 10 percent. According to the World Health Organization, it costs about a dollar to immunize a child against measles. But a single case of the disease here in the United States costs about $11,000 to treat. Not a bad return on investment. One of Governor Arnold Schwarzenegger's dreams may soon be coming to fruition. During his time as governor, while singing the praises of renewable energy progress in the Golden State, the Terminator would often tell tree-hugging Californians about his dream of building a hydrogen highway that would enable hydrogen-powered vehicles to run from Mexico to Canada — via California. Not only did Prius drivers and vegans applaud the governor's dream, but it even got a decent amount of support from former GM Chairman Bob Lutz and President George W. Bush. Since that time, California has managed to build only 10 hydrogen fueling stations in Los Angeles and San Francisco. But we got word over the weekend that the California Energy Commission is about to spend $20 million to build about 50 new hydrogen fueling stations. Starting in October with a new fuel station in the city of Coalinga, near I-5 in the San Joaquin Valley, hydrogen cars will be able to get from Los Angeles to San Francisco. Such vehicles can go about 300 miles on a fill up. Those who believe hydrogen represents the future of personal transportation have been quick to applaud this news. Certainly it represents a small but meaningful step in instigating some early growth in the hydrogen vehicle market. No one really cares now that Elon Musk has shown the world a much better mousetrap... and in the process, has been quite vocal about why he actually thinks hydrogen is "silly." Hydrogen is an energy storage mechanism. It is not a source of energy. So you have to get that hydrogen from somewhere. if you get that hydrogen from water, so you're splitting H20, electrolysis is extremely inefficient as an energy process…. if you say took a solar panel and use the energy from that to just charge a battery pack directly, compared to try to split water, take the hydrogen, dump the oxygen, compress the hydrogen to an extremely high pressure (or liquefy it) and then put it in a car and run a fuel-cell, it is about half the efficiency, it's terrible. Why would you do that? It makes no sense. If you're going to pick an energy storage mechanism, hydrogen is an incredibly dumb one to pick. You should just use methane, that's much, much easier. Or propane. The best case hydrogen fuel cell doesn't win against the current case batteries, so then obviously it doesn't make sense. That will become apparent in the next few years. Although I agree with Musk, there's no doubt that plenty of automakers are still getting quite aggressive on hydrogen. Hyundai, Toyota, Honda, and Volkswagen don't really seem to be too interested in what Musk has to say about the issue. Of course, they also weren't too interested back when he first came on the scene with a silly dream of mass-producing a quality electric car. In any event, while there will likely be a few more opportunities to profit in the fuel cell space with companies like Plug Power (NASDAQ: PLUG) and Hydrogenics Corp. (NASDAQ: HYGS), over the long term, I wouldn't put too much faith in hydrogen vehicles getting as much love as electric vehicles. In terms of price, performance, ease-of-use, and infrastructure demands, by the time the few automakers pursuing hydrogen actually have a decent number of these cars in the showrooms, electric cars will be even further advanced. Prices will have fallen further, driving ranges will have doubled (if not tripled), and high-speed charging infrastructure will be nearly as common as the infrastructure in existence today for internal combustion vehicles. In other words, it's too late for hydrogen, because no one can put the electric vehicle genie back in its bottle. ...Please continue reading from Jeff Siegel, Editor of Energy and Capital, where this article was first published. According to the Financial Times, Germany coal use is at its highest levels since 1990. This is despite the fact that renewables (including solar and wind) have ramped up significantly in the past decade. On June 9, 2014, Germany generated for the first time over %50 of the electricity demand from solar. In the past year, 147bn kWh was generated from renewable sources. The argument for the increase in coal use stems from the fact that German chancellor Angele Merkel decided to phase out nuclear power which left an energy gap that only coal or fossil fuels could quickly meet. It was announced on May 30,2011 that Germany would close all nuclear plants by 2022 per the New York Times in an anti-nuclear response to the Fukushima disaster. 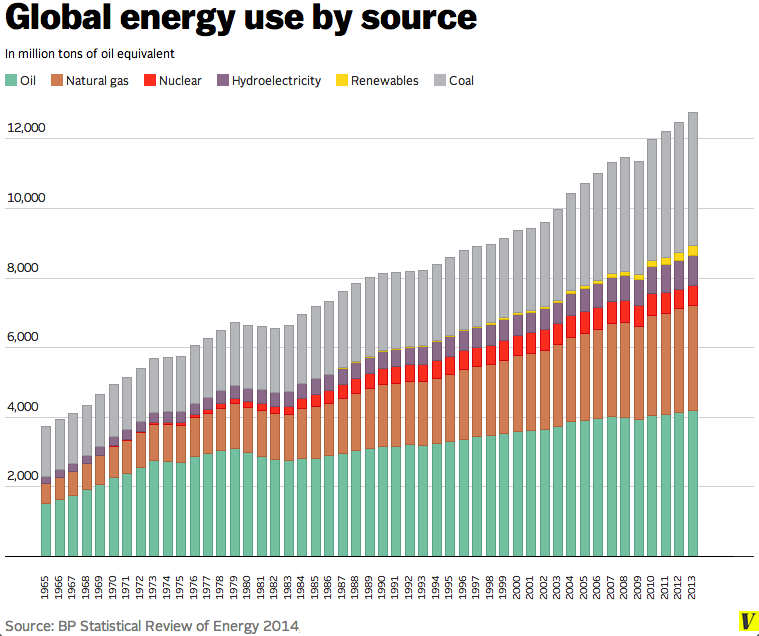 A global look at energy sources indicates the energy load has been rising worldwide since 1965 along with corresponding increases in energy for coal and all other sources. Use of fossil fuels including coal has grown fastest worldwide. About 60 million metric tons of food worth about $162 billion is wasted each year in the U.S., says a report by Resources Action Program, an antiwaste organization in Britain, Ron Nixon reports for The New York Times. "About 32 million metric tons of it end up in municipal landfills, at a cost of about $1.5 billion a year to local governments." That's particularly troubling, considering a report released in January by the Southern Education Foundation said that for the first time in at least 50 years, more than 50 percent of U.S. public school students are from low-income families, and some of the highest concentrations of poverty are located in states with large rural populations. The study, which consisted of 200,000 Australians, found that smoking 10 cigarettes a day doubled the risk of death, and smoking one pack a day quadrupled the risk of death, Paquette writes. Cigarette smoking is the top cause of preventable disease and death in the U.S., accounting for more than 480,000 deaths every year—or one in every five deaths—says the Centers for Disease Control. "An Ohio State University study found employees who smoke tobacco cost employers roughly $6,000 more annually in health care and productivity than nonsmokers," Paquette writes. "Another study, from the New England Journal of Medicine, shows health-care costs for smokers tend to be, on average, 40 percent higher." EPA to investigate North Carolina for civil rights violations. NATIONAL – The Northeast Waste Management Officials' Association (NEWMOA) announces the national launch of the "Green Chemistry Connection," an online community of green chemistry practitioners and an information clearinghouse now available at www.GreenChemConnect.org. NEWMOA created the Green Chemistry Connection in order to facilitate the exchange of information, ideas, and expertise on one easy-to-access and use web platform. NEWMOA conducted a "soft-launch" of the website in 2014 in the northeast with more than 115 members. With the re-launch of the website for a national audience, NEWMOA hopes to expand the conversation on green chemistry and further enhance the quantity and quality of information available on the Network. GreenChemConnect.org brings together federal, state, and local programs, academic institutions, non-governmental organizations, and private companies that are working on green chemistry initiatives. The goal for the Green Chemistry Connection is to broaden the understanding and adoption of green chemistry practices and principles in business, education, government, health care, and society as a catalyst to growing a sustainable economy. According to John Warner, President of the Warner Babcock Institute of Green Chemistry, "This portal has an excellent potential to bring green chemistry community together in an effective way. I look forward to watching this grow." NEWMOA developed this website using Word Press and administers and maintains the Network. It is funded in part by the U.S. Environmental Protection Agency through the Pollution Prevention Resource Exchange (P2Rx™). NEWMOA thanks the New England Green Chemistry Initiative (NEGCI) Steering Committee and Government Programs and Strategies Workgroup for their involvement and support with developing this Network. Raht Racer velomobile may let riders pedal "as fast as a car"
With their sleek shells providing both protection from the elements and an aerodynamic advantage over bicycles, human-powered velomobiles do offer an intriguing alternative to cars. Unfortunately, though, they can't go as fast as automobiles, meaning that they often still have to be ridden along the side of the road. Minneapolis-based inventor Rich Kronfield wants to change that, with his Raht Racer. It's an electric-assist velomobile that amplifies the rider's pedaling power, reportedly allowing them to move as fast as the cars around them. .. Continue Reading Raht Racer velomobile may let riders pedal "as fast as a car"
With his company Afforestt, eco-entrepreneur Shubhendu Sharma is creating mini-forest ecosystems using an accelerated method. It's based on the practices of Japanese forester Akira Miyawaki, as well as on Sharma's own experiences gleaned from his former career in car manufacturing. Trees are planted close to each other to simulate natural conditions of growth and competitions. 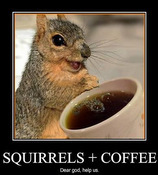 For the same reason, Afforestt plants trees randomly. This method has been developed by Dr. Akira Miyawaki after extensive and exhaustive research and has been proved to work in over 3000 locations, including Gobi Desert and Central Africa. If a piece of land is free from human intervention, a forest will naturally self-seed and take over within a period of around 600 to 1,000 years. Akira Miyawaki's methodology amplifies that growth process to establish a mature, native forest in ten years. 1) you start with soil. We identify what nutrition the soil lacks. 2) we identify what species we should be growing in this soil, depending on climate. 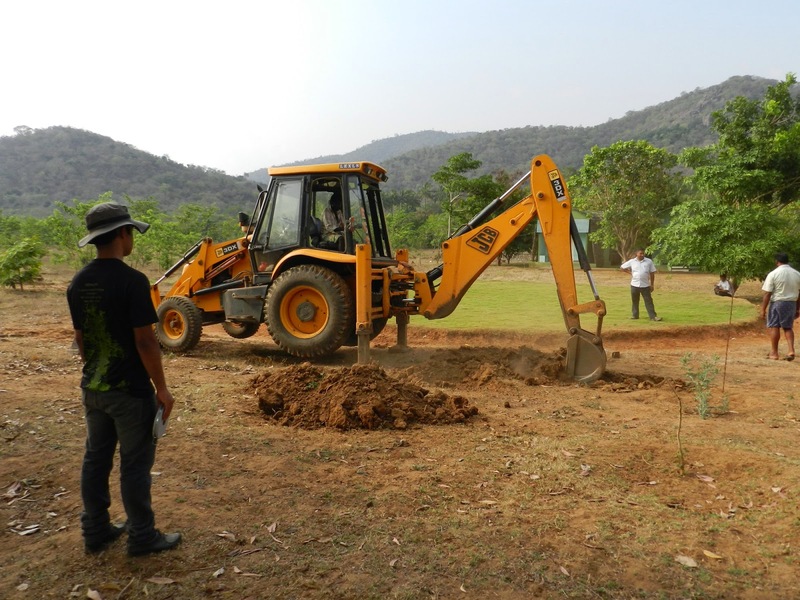 3) We then identify locally abundant biomass available in that region to give the soil whatever nourishment it needs. This is typically an agricultural or industrial byproduct — like chicken manure or press mud, a byproduct of sugar production — but it can be almost anything. We've made a rule that it must come from within 50 kilometers of the site, which means we have to be flexible. 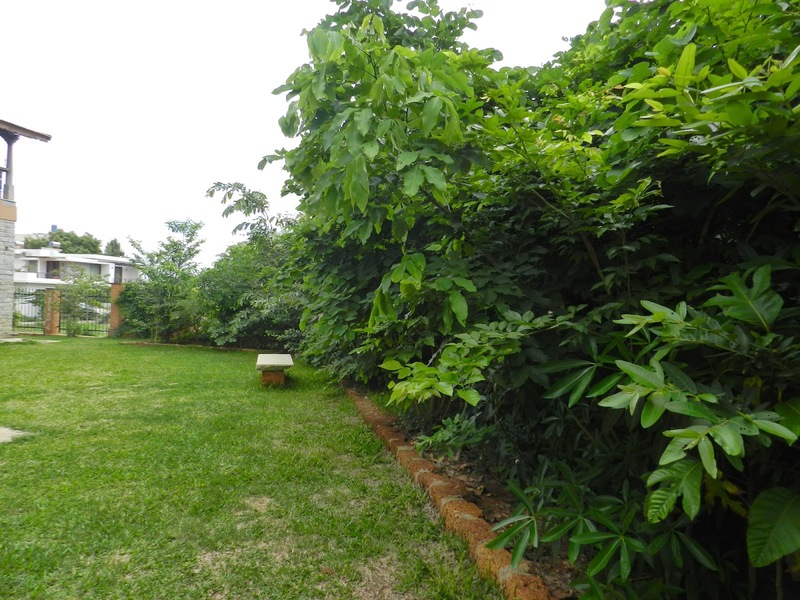 4. we plant saplings that are up to 80 cm high, packing them in very densely — three to five saplings per square meter. 5. The forest itself must cover a 100-square-meter minimum area. This grows into a forest so dense that after eight months, sunlight can't reach the ground. At this point, every drop of rain that falls is conserved, and every leaf that falls is converted into humus. 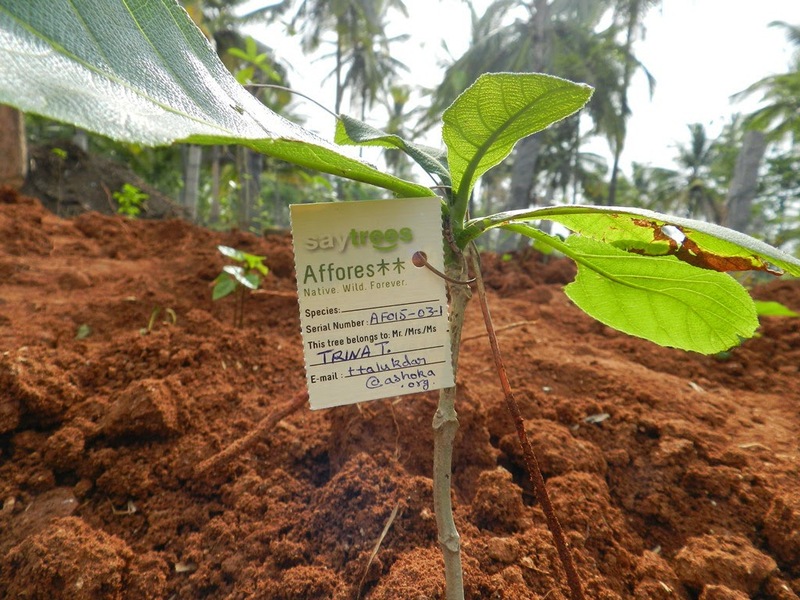 The more the forest grows, the more it generates nutrients for itself, accelerating growth. This density also means that individual trees begin competing for sunlight — another reason these forests grow so fast. But after that, it's best to disturb the forest as little as possible to allow its ecosystem — including animals — to become established. 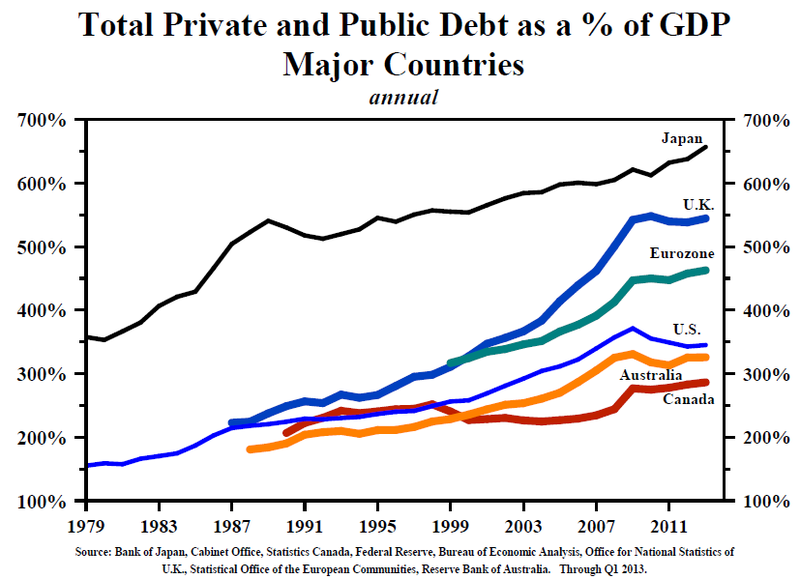 A new study from the Bank for International Settlements shows exactly why rapid finance sector growth is bad for the rest of the economy. 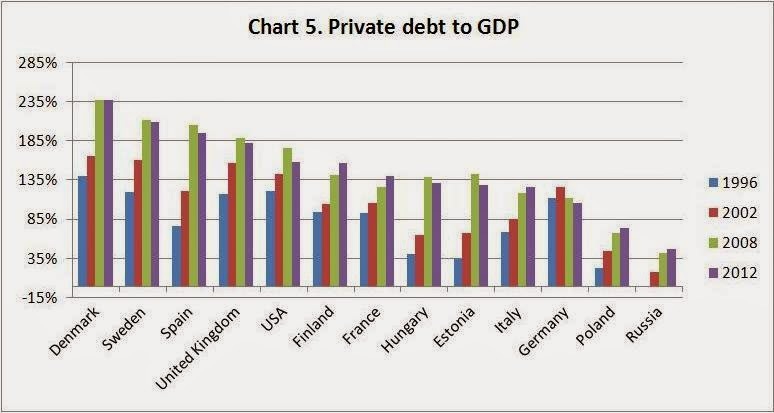 When private sector debt passes 100% of GDP, that point is reached. Another way of looking at the same topic is the proportion of workers employed by the finance sector. Once that proportion passes 3.9%, the effect on productivity growth turns negative. Ireland and Spain are cases in point. During the five years beginning 2005, Irish and Spanish financial sector employment grew at an average annual rate of 4.1% and 1.4% respectively; output per worker fell by 2.7% and 1.4% a year over the same period. People who might have become scientists, who in another age dreamt of curing cancer or flying to Mars, today dream of becoming hedge fund managers. Nextbigfuture notes that the USA has at least a double problem. There are too many highly qualified people going into finance and too many becoming lawyers. In this paper we examine the negative relationship between the rate of growth of the financial sector and the rate of growth of total factor productivity. We begin by showing that by disproportionately benefiting high collateral/low productivity projects, an exogenous increase in finance reduces total factor productivity growth. Then, in a model with skilled workers and endogenous financial sector growth, we establish the possibility of multiple equilibria. In the equilibrium where skilled labour works in finance, the financial sector grows more quickly at the expense of the real economy. We go on to show that consistent with this theory, financial growth disproportionately harms financially dependent and R&D-intensive industries. Fresh nuclear leak detected at Fukushima plant in Japan. Storing medicines in plastic bottles can cause cancer, birth defects. Doctors have found proof that Polyethylene Terephthalate (PET) bottles used for storing medicines pose health hazard to people, especially women. Yale Environment 360 : More than 10 percent of the electricity used in Texas last year came from wind turbines, according to the Electric General locations of wind plants in Texas. Reliability Council of Texas, which operates the state's electric grid. 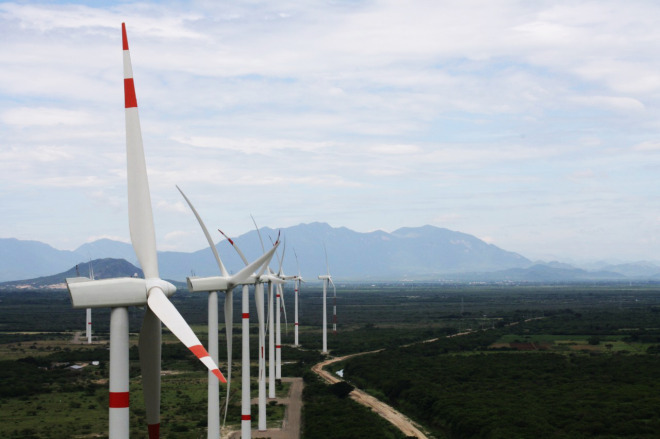 Wind's share of the Texas electric mix grew from just over 6 percent in 2009 to 10.6 percent in 2014. During that period, wind power generation actually doubled — rising from 18.8 million megawatt-hours to 36.1 million — while total electricity generation in Texas also rose by 11 percent. The share of electricity generated by wind power in Texas is more than double the U.S. figure of 4.4 percent. The growth in wind generation in Texas is a result of new wind plants coming online and grid expansions that have allowed more wind power to flow through the system to consumers, the council said. As we've written before, the mysterious mass die-off of honey bees that pollinate $30 billion worth of crops in the US has so decimated America's apis mellifera population that one bad winter could leave fields fallow. Now, a new study has pinpointed some of the probable causes of bee deaths and the rather scary results show that averting beemageddon will be much more difficult than previously thought. Scientists had struggled to find the trigger for so-called Colony Collapse Disorder (CCD) that has wiped out an estimated 10 million beehives, worth $2 billion, over the past six years. Suspects have included pesticides, disease-bearing parasites and poor nutrition. But in a first-of-its-kind study published today in the journal PLOS ONE, scientists at the University of Maryland and the US Department of Agriculture have identified a witch's brew of pesticides and fungicides contaminating pollen that bees collect to feed their hives. The findings break new ground on why large numbers of bees are dying though they do not identify the specific cause of CCD, where an entire beehive dies at once. Most disturbing, bees that ate pollen contaminated with fungicides were three times as likely to be infected by the parasite. Widely used, fungicides had been thought to be harmless for bees as they're designed to kill fungus, not insects, on crops like apples. "There's growing evidence that fungicides may be affecting the bees on their own and I think what it highlights is a need to reassess how we label these agricultural chemicals," Dennis vanEngelsdorp, the study's lead author, told Quartz. Labels on pesticides warn farmers not to spray when pollinating bees are in the vicinity but such precautions have not applied to fungicides. Bee populations are so low in the US that it now takes 60% of the country's surviving colonies just to pollinate one California crop, almonds. And that's not just a west coast problem—California supplies 80% of the world's almonds, a market worth $4 billion. In recent years, a class of chemicals called neonicotinoids has been linked to bee deaths and in April regulators banned the use of the pesticide for two years in Europe where bee populations have also plummeted. But vanEngelsdorp, an assistant research scientist at the University of Maryland, says the new study shows that the interaction of multiple pesticides is affecting bee health. "The pesticide issue in itself is much more complex than we have led to be believe," he says. "It's a lot more complicated than just one product, which means of course the solution does not lie in just banning one class of product." RALEIGH, North Carolina — Federal prosecutors filed multiple criminal charges against Duke Energy on Friday over years of illegal pollution leaking from coal ash dumps at five North Carolina power plants. The three U.S. Attorney's Offices covering the state charged Duke with nine misdemeanor counts involving violations of the Clean Water Act. The prosecutors say the nation's largest electricity company engaged in unlawful dumping at coal-fired power plants in Eden, Moncure, Asheville, Goldsboro and Mt. Holly. Duke said Friday in statements and court filings that it has already negotiated a plea agreement under which it will admit guilt and pay $102 million in fines, restitution and community service. The company said the costs of the settlement will be borne by its shareholders, not passed on to its electricity customers. The investigation into Duke began last February after a pipe collapsed under a coal ash dump at the Eden plant, coating 70 miles of the Dan River in gray sludge. However, prosecutors allege in court filings that Duke's illegal dumping had been going back for years, to at least 2010. "We are accountable for what happened at Dan River and have learned from this event," said Lynn Good, Duke's president and CEO. "Our highest priorities are safe operations and the well-being of the people and communities we serve." The separate cases will be consolidated under the jurisdiction of the U.S. District Court in Raleigh. Any proposed settlement in the case would be subject to approval by a judge. Environmental groups on Friday hailed the charges as vindication for their years of efforts to get regulators to hold Duke accountable for the pollution leaking from coal ash dumps at 14 power plants scattered across the state. The ash, which is the waste left behind when coal is burned to generate electricity, contains such toxic heavy metals as arsenic, selenium, chromium and mercury. "It's not just a slap on the wrist," said Kemp Burdette, of Cape Fear River Watch. "A $100 million fine is a significant one. It confirms what we've been saying all along. It's good to finally have somebody say, 'You're right. Duke was illegally polluting waterways across North Carolina and it was criminal. It wasn't an accident.'" India’s toxic air is taking away three years from your life. The life expectancy of more than half of India's population could increase by 3.2 years if the country can meet its air quality standards, according to a new study by economists and public policy experts at the universities of Chicago, Yale and Harvard. Russia has invented special fuel formula enabling Russia's hypersonic aerial vehicles to fly faster than five times the speed of sound. A Russia-India joint cruise missile research group will develop the world's first hypersonic cruise missile by 2023, the company's CEO was quoted by the RIA Novosti news agency as saying Wednesday. The traditional criticism of reverse-osmosis technology is that it costs too much. The process uses a great deal of energy to force salt water against polymer membranes that have pores small enough to let fresh water through while holding salt ions back. However, Sorek desalination plant in Israel will profitably sell water to the Israeli water authority for 58 U.S. cents per cubic meter (1,000 liters, or about what one person in Israel uses per week), which is a lower price than today's conventional desalination plants can manage. What's more, its energy consumption is among the lowest in the world for large-scale desalination plants. Pesticides, pollutants found in marine life in lagoon, off coast. Flame retardants and pesticide byproducts are showing up at potentially toxic levels in sharks, rays and other marine life in the Indian River Lagoon and in the ocean just off Brevard County. Westinghouse CEO Danny Roderick said that a "realistic" assessment of future business in China would place Westinghouse in the vicinity of a 25 percent to 30 percent market share. He estimated that China could build 200 reactors in the next 15 years. China is expected to build up its own nuclear power plant export business with its own 1,400 MW version of the AP1000, Platts reported. Roderick said that Westinghouse is expected to provide reactor coolant pumps to Chinese plants, which could amount to deals worth $800 million. A study from the scientific research company Abraxis and Boston University turned up information about the honey you put on your toast that isn't very sweet. Fifty-nine percent of the honey products they tested contained the herbicide glyphosate. Unsafe levels of glyphosate in honey? Glyphosate is what is called a broad-spectrum systemic herbicide that is the star ingredient in Monsanto's signature weed and plant killer Roundup, a product marketed since 1973 and used extensively by commercial food producers, homeowners and some government agencies around the world. The run-off from Roundup usage even manages to bring a level of glyphosate in our drinking water. There is considerable debate still about just how safe glyphosate is for plants, humans and other animals but the maximum limit of quantification (LOQ) for honey is considered to be 15 parts per billion (ppb). Sixty-nine samples of honey products were tested and 41 had glyphosate levels between 17 and 163 ppb, with the mean average being 64 ppb. Those 28 that did not have levels above 15 ppb may have had levels just below it, the tests did not record levels under 15ppb. 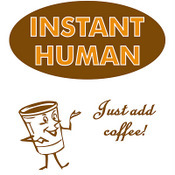 Also tested by Abraxis and Boston U. were both pancake and corn syrup, soy sauce, soy milk and tofu. Of those, concentrations above the method LOQ for soy sauce, which is 75 ppb, were found in ten of the twenty-eight samples tested at a range of between 88 and 564 ppb, which translates to a mean of 242 ppb. The other products did not test above their maximum ppb guidelines. Sustainable Pulse is an agency that provides detailed information on GMOs and sustainable food production and the director, Henry Rowlands, was not surprised at these test results. Mr. Rowlands did not sound optimistic that the FDA will do anything about it. "This sad news shows just how widespread glyphosate is in our food," he said. "With the increase in GM crops being cultivated worldwide it is becoming increasingly difficult to avoid. "If you ask anyone if they feel there should be 'allowed' levels of toxic chemicals such as glyphosate in their bodies the answer will of course always be 'no,' he added. "It is a fact that the scientific and regulatory process cannot evidence 'safe' levels for these chemicals." The use of the chemical is so widespread it has been found in mother's breast milk, and in particularly high concentrations in U.S. women. It is easily picked up by bees and even some organic honey products contained glyphosate. Of the 69 honey products tested by Abraxis and Boston U., 11 were organic and five of those tested above 15 ppb, results ranging from 26 to 93 ppb, with a mean of 50 ppb. Mother Jones: A train hauling more than 100 tankers from North Dakota's booming oil fields derailed during a snowstorm on Monday in West Virginia. The accident sparked massive explosions that prompted the evacuation of two nearby towns, and an oil spill that threatened the water supply of thousands of local residents. The train was heading to Yorktown, Virginia, and came off its tracks 33 miles southeast of Charleston, West Virginia. A state of emergency was declared. Bakken crude is regarded as potentially more flammable than traditional crude, thus posing an increased hazard. And since the derailment of a train hauling Bakken crude killed 47 people in Lac-Mégantic, Quebec, in July 2013, the type of tankers involved in these accidents has become the subject of intense scrutiny. Both Canada and the United States have called for tougher safety standards, including upgrading the tankers. 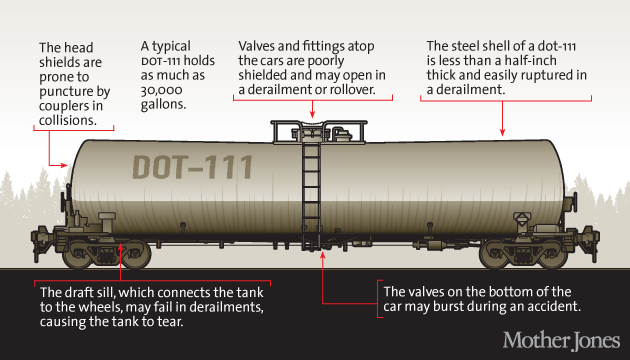 In mid-January, Canada announced it would take older tankers, known as the "DOT-111", off the network years sooner than the United States will, putting the two countries at odds over increased safety measures on the deeply integrated system. You can read an in-depth Mother Jones report about the DOT-111 tankers here. The train operator, CSX, has said that the train was not pulling DOT-111 tankers. Instead, the company says it was using a tougher, newer model, the "CPC 1232", according to Reuters. The draft rule also would require that new cars be built with steel shells that are 9/16th of an inch thick, people familiar with the plan said. The walls of the current cars, both DOT-111s and the newer CPC-1232 models, are 7/16th of an inch thick. The West Virginia accident on Monday is the second major derailment in three days across North America's booming oil-by-rail network. A Canadian National Railway train detailed northern Ontario, Canada, on Saturday night, again resulting in an inferno and an oil spill: 29 railway cars in the 100-car train derailed. Seven caught fire, according to CTV. Big budget for fighting Asian carp in Great Lakes is downsized. Officials praise EPA decision to consider making Hackensack River a Superfund site. Colorado Springs Gazette...more than 4,000 Fort Carson soldiers prepared Thursday to leave for Kuwait, where they will take over as America's largest ground force in the troubled region... The unit is Fort Carson's heaviest force, armed with tanks and Bradley Fighting Vehicles. Many of its soldiers are veterans of one or more of the brigade's four combat tours in Iraq. There's another reason why the official rate is misleading. Say you're an out-of-work engineer or healthcare worker or construction worker or retail manager: If you perform a minimum of one hour of work in a week and are paid at least $20 — maybe someone pays you to mow their lawn — you're not officially counted as unemployed in the much-reported 5.6%. Few Americans know this. Yet another figure of importance that doesn't get much press: those working part time but wanting full-time work.If you have a degree in chemistry or math and are working 10 hours part time because it is all you can find — in other words, you are severely underemployed — the government doesn't count you in the 5.6%. Few Americans know this. The real economy  two-thirds of Americans didn't have savings available to cover a $500 repair bill or a $1,000 emergency room visit. Truthout - A recent Bankrate poll found that almost two-thirds of Americans didn't have savings available to cover a $500 repair bill or a $1,000 emergency room visit. 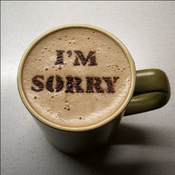 A related Pew survey concluded that over half of U.S. households have less than one month's income in readily available savings, and that all their savings -- including retirement funds -- amounted to only about four months of income. And young adults? A negative savings rate, as reported by the Wall Street Journal. Before the recession their savings rate was a reasonably healthy 5 percent. Between 2007 and 2013 median wealth dropped a shocking 40 percent, leaving the poorest half with negative wealth (because of debt), and a full 60% of households owning, in total, about as much as the nation's 94 richest individuals. People of color fare the worst, with half of black households owning less than $11,000 in total wealth, and Hispanic households less than $14,000. The median net worth for white households is about $142,000. Food costs have doubled since 1978, housing has more than tripled, and college tuition is eleven times higher. The cost of raising a child increased by 40 percent between 2000 and 2010. And despite the gains from Obamacare, health care expenses continue to grow. Median household income has been going down since 2000, with the greatest drop occurring since 2009, as 95 percent of the post-recession income gains have gone to the richest 1%. The jobs that kept the middle class out of poverty -- education, construction, social services, transportation, administration -- have seen a decline since the recession, especially in the northeast. At a national level jobs gained are paying 23 percent less than jobs lost. The lowest paid workers, those in housekeeping and home health care and food service, have seen their wages drop 6 to 8 percent (although wages overall rose about 2 percent in 2014). Over half of public school students are poor enough to qualify for lunch subsidies. There's been a 70 percent increase since the recession in the number of children on food stamps. State of Working America reported that almost half of black children under the age of six are living in poverty. An attempt by the Martin Fleischmann Memorial Project to replicate E-Cat, Andrea Rossi's alleged cold fusion reactor, ended explosively yesterday after the reactor heated to over 1,000C. MFMP's Project Dog Bone is aiming at producing large amounts of excess heat as claimed by Rossi, professor Alexander Parkhomov of Lomonosov Moscow State University and independent US researcher Jack Cole. Parkhomov has published open and detailed experimental procedures and results. 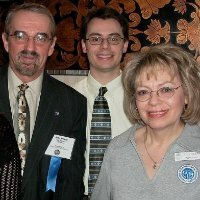 Nextbigfuture described the Parkhomov results and the race to replicate that has been triggered. The reactor can be seen cracking apart with a loud bang three hours 47 minutes into the embedded video. A 1 MW e-cat plant is currently under test at a customer's facility. For 400 days of operation, a maximum cumulative total of 35 days can have stoppages to make improvements, adjustments and maintenance. 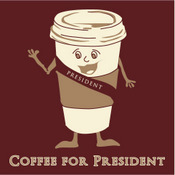 The operation is intended for 24 hours/day, 7 days/week. Jetson Green: A new Kickstarter campaign is aiming to raise funds to build a device, which will be capable of harvesting safe drinking water from the air. 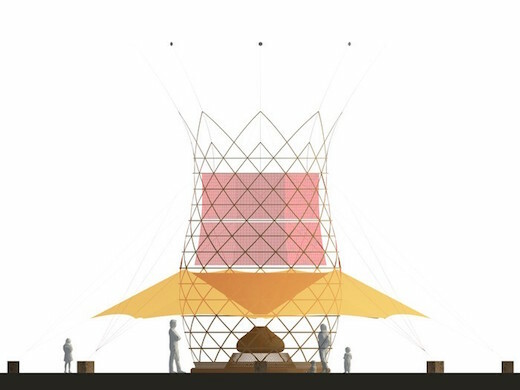 The Warka Water, as it is called is an off-the-grid bamboo tower, which could, according to the developers, collect an annual average of 26.4 US gallons of water per day. This would make it ideal for deployment in undeveloped regions of Africa and elsewhere, which is what they are planning on doing. 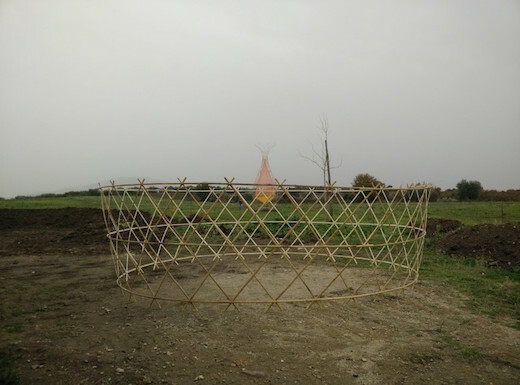 The finished Warka Water will be 33 feet high (10 m) and weigh around 132 pounds (60 kg). On site, it will require eight guide ropes to secure it to the ground. The tower is constructed using bamboo, which is woven into a lightweight structure. 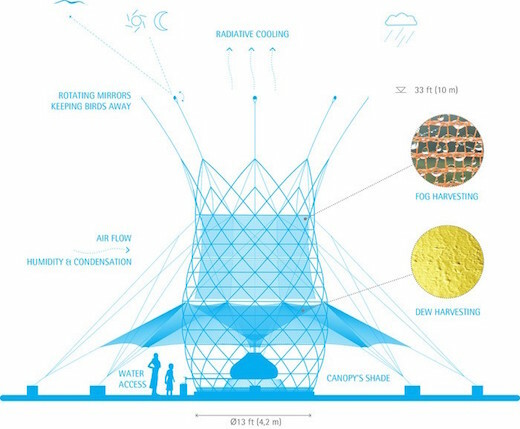 On the interior side a plastic mesh is attached to this structure, which is capable of retaining water droplets from fog. These droplets, as well as dew and rainfall will be deposited in a collector and a large tank, thereby providing a steady supply of drinking water. 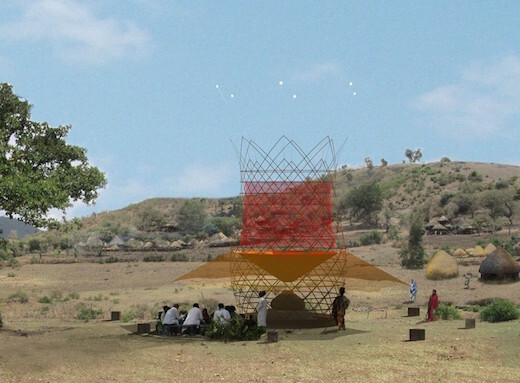 The Warka Water will also be equipped with a canopy to give shade to the people drawing the water collected in it. To keep the birds away, the designers will install a set of rotating mirrors which they believe will be sufficient to keep them away. This tower will be capable of producing water without the use of electricity, while the actual structure is so easy to make that, with proper guidance, 6 people can make in in just 4 days. On-site assembly of a prefabricated tower, on the other hand, should take four people only three hours to complete, and they would not need any cranes or other machinery to do it. The developers claim the structure will last for at least 10 years with proper maintenance, and it will cost around $1000 to construct. This is certainly a possible solution for the water crisis in Africa, especially if the claims the company is making turn out to be true. 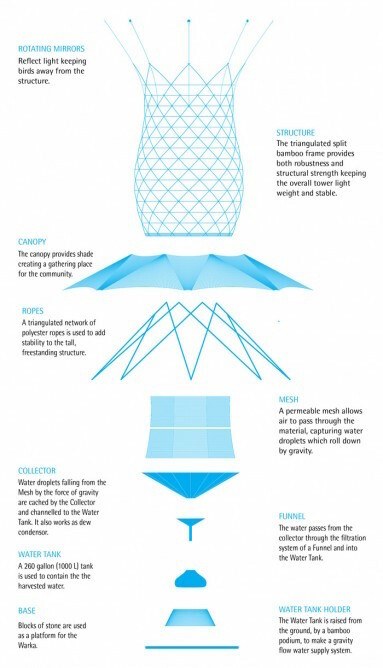 Here is the link to the campaign if you wish to learn more: https://www.kickstarter.com/projects/366225655/warka-water-each-drop-counts.